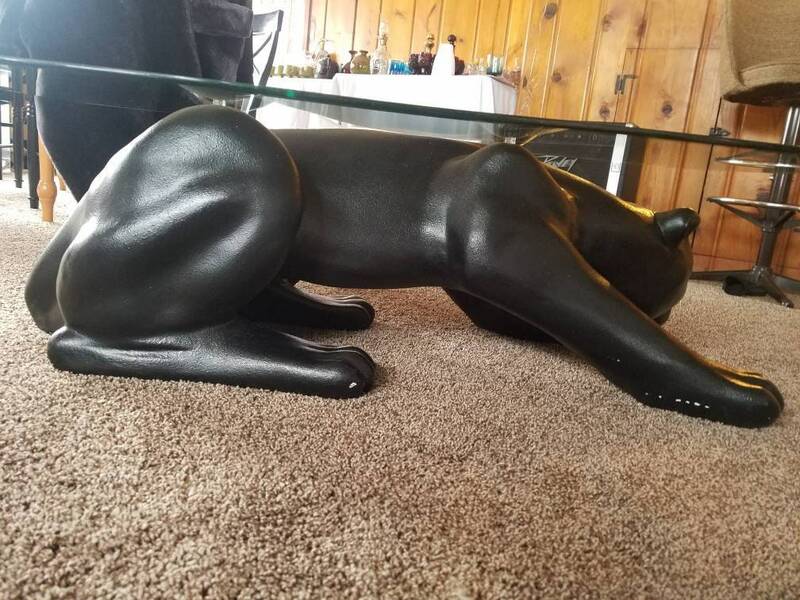 Black Panther coffee table accent table unique and rare sculptural animal table made of metal with beveled glass top. A unique and rare Black Panther Table or coffee table. This table is made of ceramic materials. It is solid black and comes with a square beveled edged glass top. Black Panther Table Glass not included. Black and grey ceramic sculptural lamp mid century modern and vintage lamp shade. Black ceramic sculptural lamp mid century modern and a two tiered retro vintage lamp shade. Mid century modern swag glass lighting set. Must be sold together. One is a hanging lamp the other a table lamp.